Thank you for participating in All of Us upvoting! 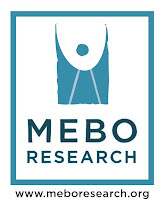 To all who participated in the upvoting/commenting of proposed research to the All of Us Program of the U.S. National Institutes of Health (NIH), the MEBO Community around the world thanks you! On January 17, 2018, MEBO's Scientific Director, Irene Gabashvili, PhD, submitted a research proposal, 'Could the Precision Medicine Initiate Reduce Social Inequality? 'to the NIH All of Us NIH Program in hopes to obtain research into uncontrollable body odor, halitosis, and PATM conditions. There was a window of opportunity for sufferers to upvote and comment on this application, and she received 219 votes and 76 comments. The voting period was opened up to February 23rd, and is now concluded. We now need to wait a couple of months for the determination to be announced. This strong show of support puts Irene's proposal on the top 2 of that time period, which gives us a fighting chance for approval. It is most likely that more than one research project will be approved for research by this program.